An interesting mix of weather this week, with thunderstorms one minute and brilliant sun shine the next, its certainty been keeping us on our toes. When it comes to the fishing how ever, it has been trip after great trip! Lots of anglers starting to venture out wide again, especially into the Firth around the 40 m mark. Drift fishing has been the favoured tactic, as many people have got their hands on new slow jigs and soft baits, that have been nothing short of fantastic when it comes to landing those Snapper. 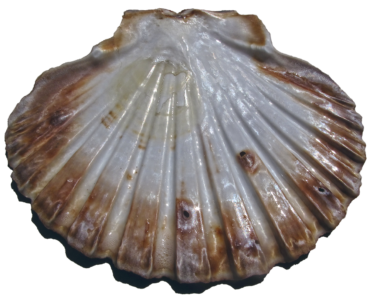 With Scallop season just around the corner, we will see a lot of us fishos and divers out (and in) the water. Just a reminder for everyone to take care out there and to look out for your fellow hunter gatherer. As the divers come out to collect Cray fish and tasty Scallops, it gives us anglers a great opportunity to land some big fish. Divers stir up those Scallops which, in turn, brings those Snapper, King Fish and Kahawai around! If you’re looking for a feed for the family, look no further than Browns Island ! Over the last week, the average Snapper landed in this area have been 5KG! Soft baiting and slow jigging yet again have been doing the damage. If you haven’t tried them yet, its time to! There are some key colours and sizes to have in your tackle bag , so talk to the lovely people at the Big Fish Bait and Tackle shop, they are more than happy to point them out to you. They also now have a wicked range of soft baiting and specialist slow jigging sets in store, check them out! Those of us that like our regular bait, have been coming up with the goods as usual. Most anglers reporting that squid ( as bait) has not been doing nearly as well as mullet at the moment. Lots of people using Sanmar and Bullet Tuna. So If you haven’t used these baits before, now is the perfect time. Top Baits: Mullet, Bullet Tuna and Pilchard.